All rooms offer the latest in technology and ergonomic comfort to all guests. The Garden Sleep System is one of the most comfortable beds you will ever experience, providing the perfect balance between comfort and support. The ergonomic Mirra chair by Herman Miller is good for your back and better for work. Enjoy and in-room movie or your favorite television show on high definition 32″ LCD television. There’s also a microwave, refrigerator and coffee/tea maker to help you feel at home. And for conducting business, the rooms ensure your productivity thanks to the work desk, two telephones with data port and voice mail and complimentary wired high-speed internet access. Experience a comfortable night’s sleep in one of the two double beds. 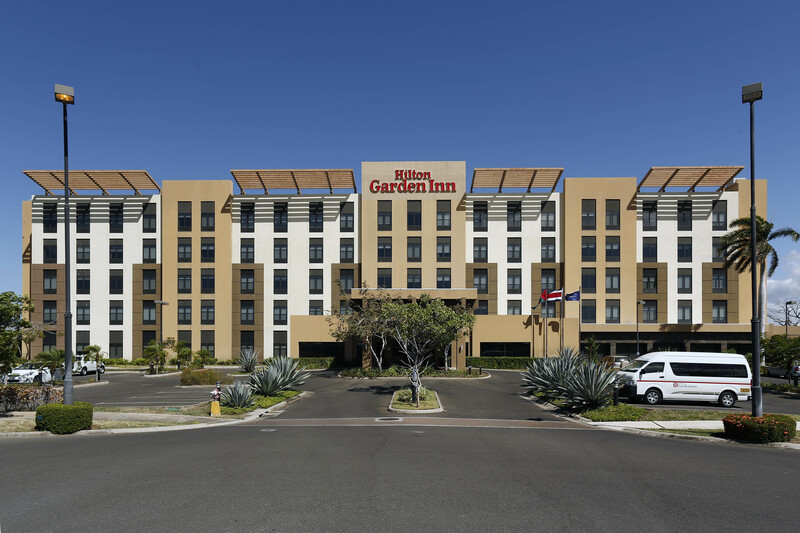 Hilton Garden Inn Liberia Airport is a great place to start and finish your Costa Rica vacation or business trip. 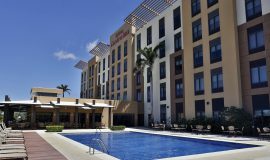 Located in the province of Guanacaste in front of Liberia Airport (LIR), the hotel is close to many top tourist attractions, such as beaches, volcanoes, hot springs, cloud forest, and many Costa Rica adventure activities including zip-lining and whitewater rafting. Every spacious guest room and suite features sophisticated decor and is fully equipped with modern conveniences to ensure you enjoy a productive stay. Sleep well on the innovative Garden Sleep System® bed providing the perfect balance between comfort and support. Catch up with work at the desk that has an ergonomic Mirra® chair, complimentary WiFi or simply relax and watch a movie on the 32-inch HDTV. All rooms boast a hospitality center with a microwave, refrigerator and coffeemaker for your convenience. 24-hour business center, sparkling outdoor pool or work out from the privacy of your guest room with a Stay Fit Kit®. 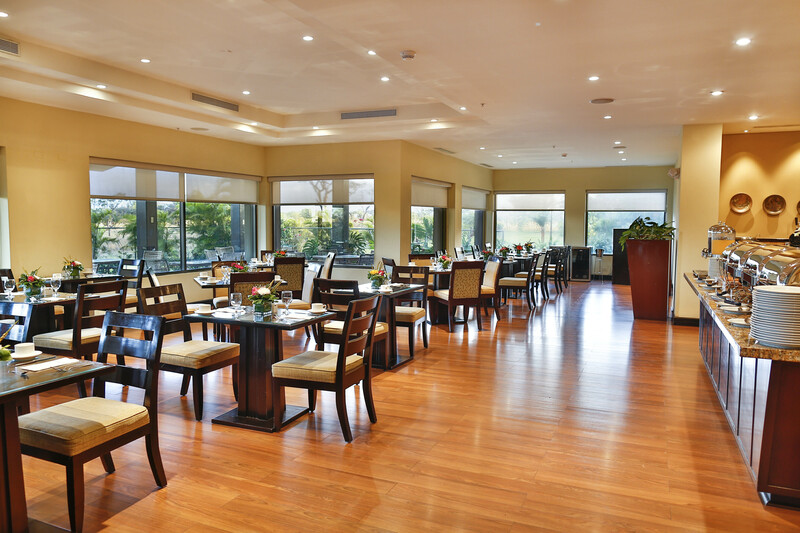 Unwind with a delicious meal in The Garden Restaurant & Bar and dine on international cuisine, with a wide variety of choices from fast food to haute cuisine. Any cancellation made at least 8 days or more prior to arrival will not incur in any penalty. Any cancellation made less than 7 days prior to arrival will incur a 100% penalty. No shows, will incur a 100% penalty. Cancellation of reservations for Easter Week, Christmas or New Year's (December - January) made less than 60 days prior to arrival will incur a 100% penalty. Children from 0 to 5 years old stay free sharing with two adults. Special price for children from 6 to 12 years old. Children up to 12 years old will be charged as an adult. 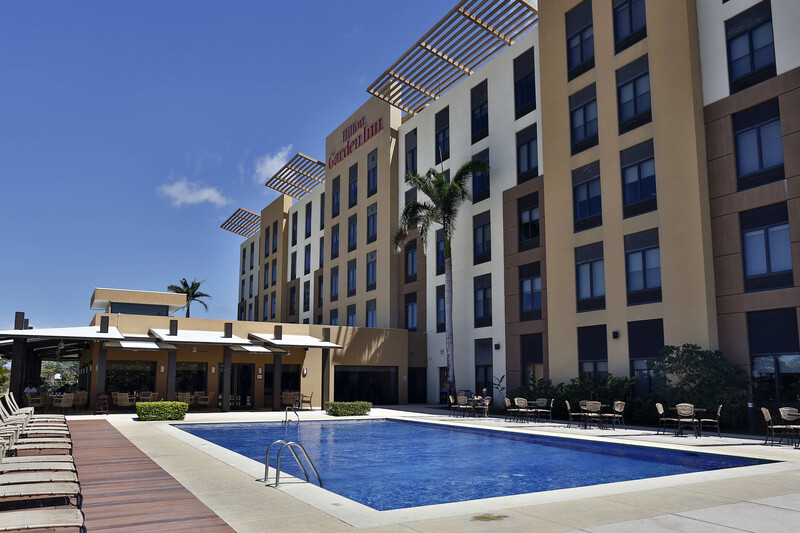 Hilton Garden Inn Liberia Airport is a great place to start and finish your Costa Rica vacation or business trip.